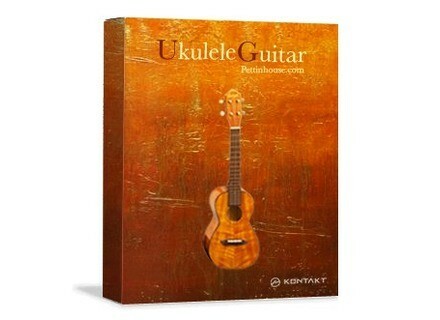 UkuleleGuitar, Virtual ukulele from Pettinhouse. 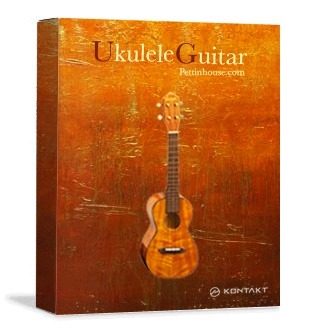 Pettinhouse.com announced that is working on a new sample library for Kontakt-UkuleleGuitar, a ukulele kontakt library available in stores beginning November 3rd. UkuleleGuitar has 2 Kontakt Patch, Fingered and strummed. The Strummed Patch is a Kontakt patch that allows you to “STRUM” your keyboard just playing chords. It doesn’t have any key switches, scripts. It "strums" your Keyboard. Two Kontakt Patches: Ukulele Fingered, Ukulele Strummed. Three Articulation in key Switches: SlideUP, HammerONS, Trills. Each articulation includes 3 layers and 2 samples for each note in round robin ( Alternate notes ) played with the thumb finger. Releases samples, Slides, Stop, Fret noises. All the samples were recorded taking care to capture the entire sustain and natural decay for unmatched realism. It will be available for Native Instruments Kontakt sampler 2-3 and 4 for $69. Audio demos available in the website. Vestax PAD-One The Vestax PAD-One is a MIDI pad controller, compatible with various DJ & DAW software that can be used to control any kind of MIDI device, including synthesizers, samplers, drum machines, and electronic drums. Pro-Sounds Selective Reality for VirusTI Pro-Sounds has announced the availablility of Selective Reality for Access' VirusTI synthesizer (OS 3 or higher). New Zenhiser Pro Audio Samples Zenhiser has released two new collections of audio samples.